Since warehouse-sale mania is dying down at last, it's time to take a look at some stops you can make during the rest of the year for bargain designer goodies. 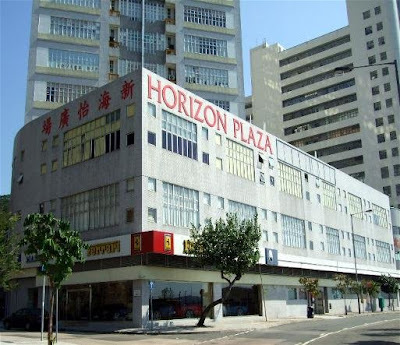 Horizon Plaza is basically Hong Kong's only outlet mall (though trust, our city has many other great things to do to make up for this fact), which started out as a furniture warehouse because of its expansive layout and relatively affordable Ap Lei Chau rental prices. In the bad economy, though, many of the furniture shops have begun to take down their signs and close up shop. While this might be bad for anyone who's moving, it's good news for recessionistas. Word on the street is that Horizon Plaza likes its fashionable tenants more than its interior-item ones, and is seeking to change its image and rebrand as an outlet shopping mall. Lane Crawford, without a doubt, is Horizon's most well-known tenant, carving out its spot on the 25th floor of the building, with a whole floor filled with womenswear, menswear, accessories and home furnishing. The items are from previous seasons, and are marked down substantially. But any savvy shopper knows that the deals are to be found down a few floors at the Joyce warehouse, where markdowns increase as time passes, so every three months, any merchandise still on the racks is subject to further discounts. The shop might be smaller than Lane Crawford's, but the goods are often of better quality, and cheaper. Case in point: a Marni necklace at LC might still go for HK$1,800, but a similar style at Joyce Warehouse was only $780. Fairton Group (MaxMara, SportMax, Gaultier, Kookai, etc) - small but decent selection of each brand's wares, in a smallish space. Deals are not too bad. Bluebell (Paul Smith, Blumarine, Moschino) - mostly old lady stuff, nothing too worthy of note. Armani (Giorgio, Emporio, Collezioni and Jeans) - don't think I've ever been to this one, is it new? Moiselle - frilly office lady stuff. Steer clear if you still want my respect. Juicy Couture/Club Monaco - this one just opened July 1, so I haven't been yet, but in general the Juicy/Monaco sales that they hold at Times Square Bazaar are not huge markdowns, given that the wares are fairly affordable to begin with. Discounts should be on par with the Lane Crawford markdowns, since they are owned by the same group, if I'm correct. Sift Patisserie and Babycakes - shopping will work up an appetite, and since there isn't too much in the way of F&B (there's a pretty nifty Italian supermarket though), then sugary pastries are the way to go, including Sift of Graham Street's desserts and the original Babycakes cupcakes in a child-friendly cafe, complete with a mini play area (their newest shop is in Delay No Mall). If you have money to spare at the end of the day, you can even visit the Ferrari showroom and pick yourself up a racer =). Visit Horizon Plaza at 2 Lee Wing Street, Ap Lei Chau.